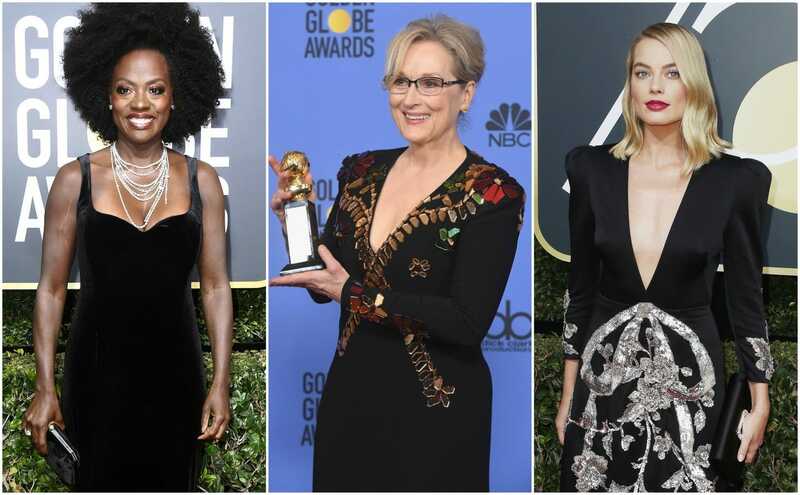 Almost every celebrity on the red carpet wore black at this year’s Golden Globes. The stunt was to raise awareness for Time’s Up — a movement against sexual harassment in the workplace. Now, some of the black dresses and tuxes are being auctioned off on eBay from Friday. You could also take home a Stella McCartney gown for as little as $25 (£18) in a raffle. 2018’s Golden Globes‘ red carpet had all the glamour, flashing cameras, and celebrities that it usually does, but there was one big difference — almost everyone was wearing black.